Staff Photo by Dan Henry / The Chattanooga Times Free Press- 1/3/17. 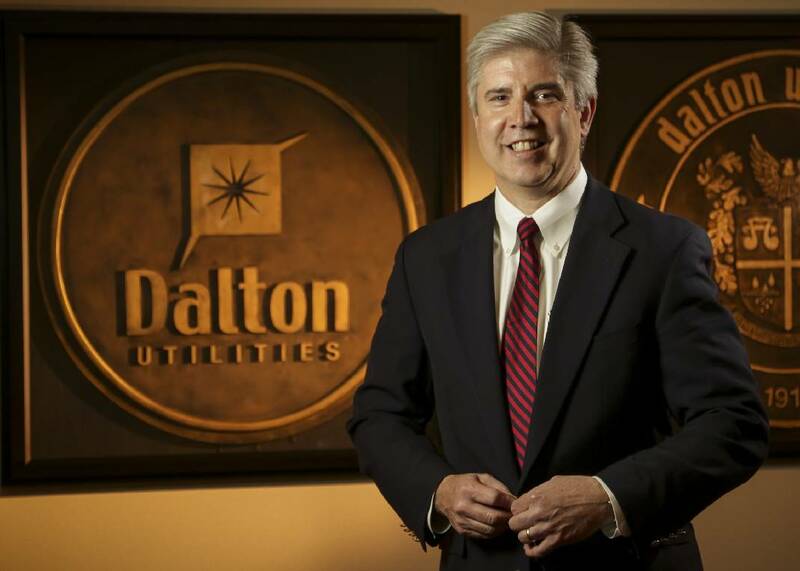 Tom Bundros, CEO of Dalton Utilities, stands inside of the company headquarters on Tuesday, January 3, 2016. A bill to let Dalton Utilities take out big loans without voter approval passed through a Georgia House Committee this week. The bill, sponsored by state Sen. Chuck Payne, R-Dalton, allows the utility to issue revenue bonds for expansion of electric power without bringing the request to voters on a referendum, as the current law requires. Payne and state Rep. Kasey Carpenter, R-Dalton, who is carrying the bill in the House, say the change gives Dalton Utilities more flexibility. The utility wouldn't want to wait for an election cycle to take out a loan for an important project, they say. They also argue Dalton Utilities should have the same freedom to issue bonds as members of the Municipal Electric Authority of Georgia, which do not need to put requests like such as this on referendums. As revenue bonds, Dalton Utilities would not promise future tax revenue to pay back the loans. "There's not anything imminent on the table," Carpenter said during a House Energy Committee hearing Tuesday. "'Hey, we need to do this. We need this right now.' You set up parameters for borrowing money when times are good." But opponents of the bill argue it gives too much power to the utility. 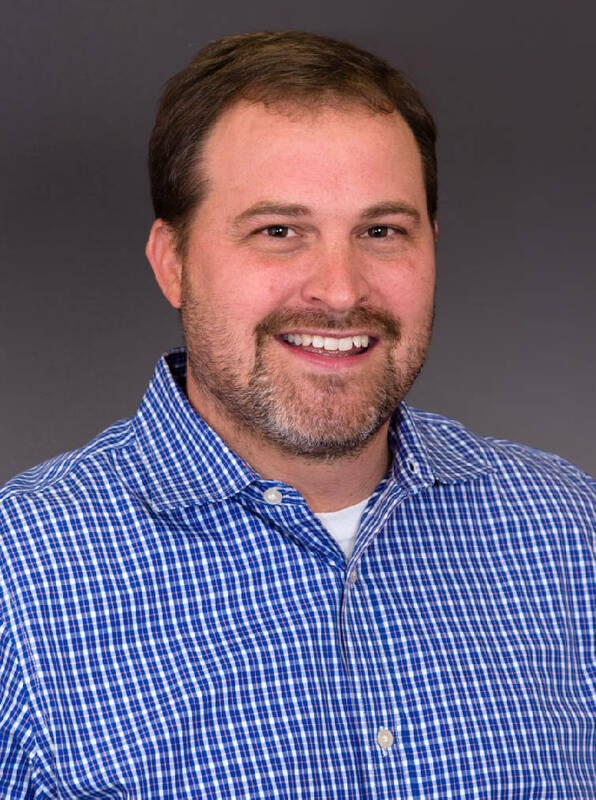 State Rep. Jason Ridley, R-Chatsworth, said Tuesday that Payne and Carpenter asked him to sign off on the same legislation as a local act, which would have been easier to pass. Ridley refused. He argued taxpayers should have a voice in such loans. He said they are the ones ultimately paying back the money, through potential increases on their power bills. "If you start taking away people's right to vote for one company and you start making bills that only [have] to do with one company, what kind of precedent are we setting?" Ridley said. The committee voted to pass the bill without a roll call. It will move to the House Rules Committee, then the chamber floor for a final vote. Staff Photo by Robin Rudd/ Georgia House District 6 representative Jason Ridley listens during the program at the Murray County Senior Center in Chatsworth. 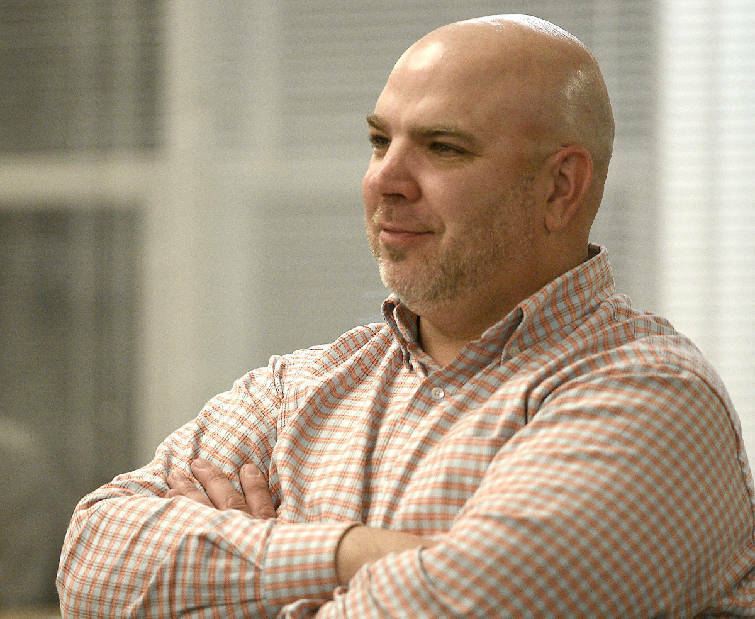 The Murray County Republican Party hosted a meet and greet for candidates running for the District 5 Georgia House Seat on December 20, 2018. The seat was left empty with the death of longtime house member John Meadows. Dalton Utilities owns a 1.6 percent stake in the project, and Bundros told the Times Free Press in February the utility still needs to pay about $100 million. He expects to pay this back with revenue through the course of normal business. The utility turned a $28 million profit last year. It has a fund balance of $185 million, though about $135 million is dedicated to other projects. Last year, when Payne tried to push through similar legislation, Bundros told executives with Georgia Power and other corporations that he needed the law change because of Dalton Utilities' investment in Plant Vogtle. If the utility needed money fast, a referendum would be tough to win and would draw the "anti-nuke crazies." "My motivation for getting this bill done is to do worse case contingency planning," he wrote in an email. "[Dalton Utilities] is overly dependent on the floor covering industry, its 70% of our load. If another recession was to hit, our top line revenues could put me in a real cash crunch." During Tuesday's hearing, Carpenter pointed out that Dalton Utilities doesn't need a referendum to issue a bond for other projects, just electricity. Asked whether the utility had ever put a referendum on the ballot before, he said he didn't know. Representatives from the Georgia Chapter of the Sierra Club and Georgia Watch also testified against the bill, as did 14th Congressional District GOP Chairman Ed Painter. A representative from the Georgia Association of Manufacturers testified in support of the bill.